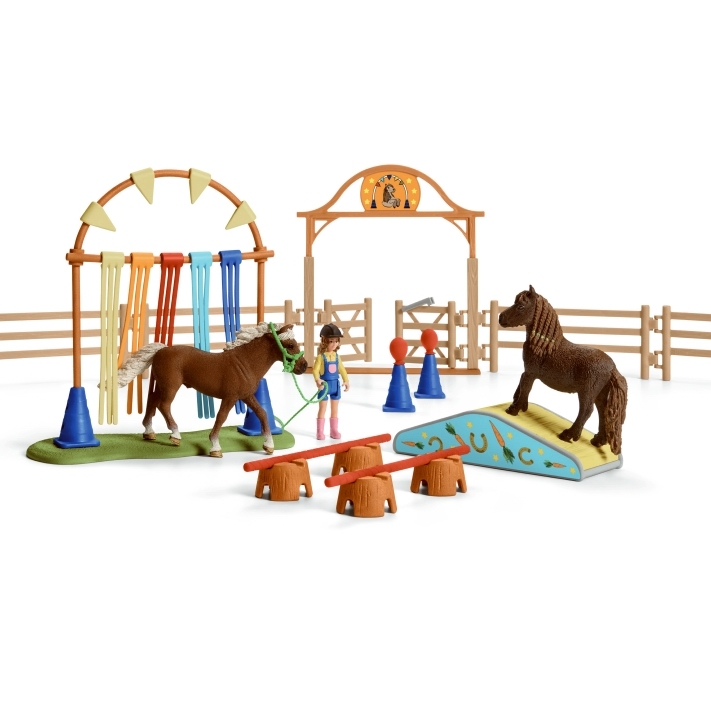 Schleich Pony Agility Training 42481 - Toys & Learning - Schleich Specialists - 100% - Fast Service - Sale Prices. This Schleich Pony Agility Training is one of the top quality hand finished products from the Schleich ranges of quality models & toys. This newly released product the Pony Agility training course is really lovely! lot's of exciting contents to play around with, hours of imaginative fun, combine it with new release Pony Agility race course (42482) and you will have even more to play with…Well done Schleich, these products will be enormously popular!